Ai Weiwei asks Europe: You accepted me as a refugee, but what about the rest of us? Ai Weiwei returns to the Copenhagen International Film Festival CPH:DOX with the world premiere of his latest film The Rest. Much like his artwork, the film is human-centered, and offers heated arguments for human dignity surrounding the European migrant crisis. The film focuses on the refugees stuck in political limbo: fleeing war in their home countries, only to be stuck in another war in Europe waged against them. 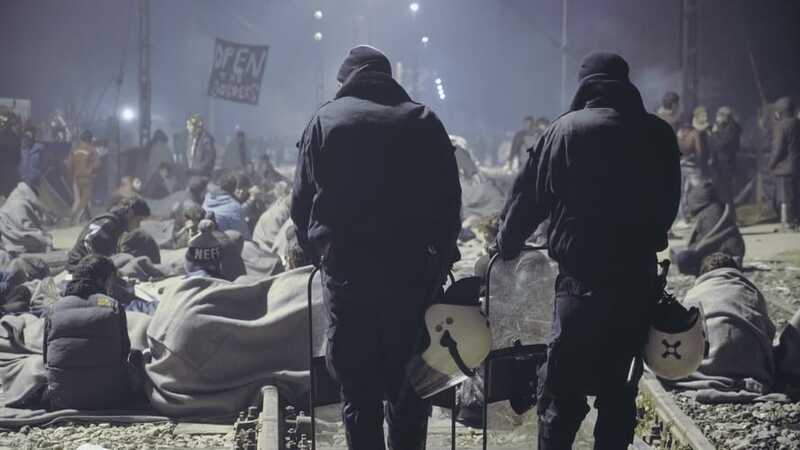 Distilled through 900 hours of footage, the 78 minute film is edited to provide raw accusations towards those who, by denying human dignity to refugees, lose dignity themselves. The Rest is an oral account of the faces and bodies of the many refugees whose lives are put on hold while they travel from camp to camp. A young woman travels with nothing on her back but her cat – a ball of white fluff cuddling in her arms. Like many others, she is stuck in political limbo, having arrived in Greece but stuck in bureaucratic hell for entry into Europe. “Refugees suffer morally, not physically,” says another refugee, a husband diligently washing dishes in a German restaurant. This restaurant job allows him to sleep at night, getting past traumas of war. Somewhere in a camp, his wife hopes to join him and play the piano again. But the stories aren’t just about the refugees stuck in the border: they’re also about the Europeans whose lives have been affected by government inaction and rising xenophobia. An Italian priest tirelessly tries to “restore broken dignity” by helping refugees in his community. In return, he finds a bullet in an envelope delivered to his church. A Greek farmer accuses the government for mismanagement of his land, where refugees now camp, protesting that “the government did not help me and I do not think it will in the future.” He is losing money because the land cannot be used for farming, and he’s tired of refugees going into his town. A reporter asks a refugee, “do you think you will have rest in the shelter here in France?” The refugee tries to say something, but gives up and leaves. The Rest tries to present refugees as individuals with different stories, but are connected by the nightmarish reality that they are stuck in a place that doesn’t want them. Through these interwoven front-line accounts, Ai Weiwei calls out the responsibility of those who hold the power to help, but decide to ignore the problem. Its world premiere in Copenhagen seems particularly fitting then, as Denmark is embracing radically anti–immigrant projects such as constructing an island named “virus” to house unwanted immigrants. But the problem extends beyond Denmark — throughout the world we are seeing a rise in right–wing nationalism. As an artist, Ai Weiwei is quick to flirt with controversy. He dropped a precious 2000 year old urn to politicize art and culture. When Ai Weiwei is asked about it, he jokes that “ancient urns are very handy [for throwing].” He painted Coca–Cola logos over countless pieces of ancient pottery in protest of capitalism and modern obsession with branding. He even once flooded an exhibition with ceramic river crabs in reference to an online meme about Chinese censorship, to criticise Chinese government’s stance on free speech. His citizens’ investigation of the Sichuan earthquake eventually became the final straw for the Chinese government. 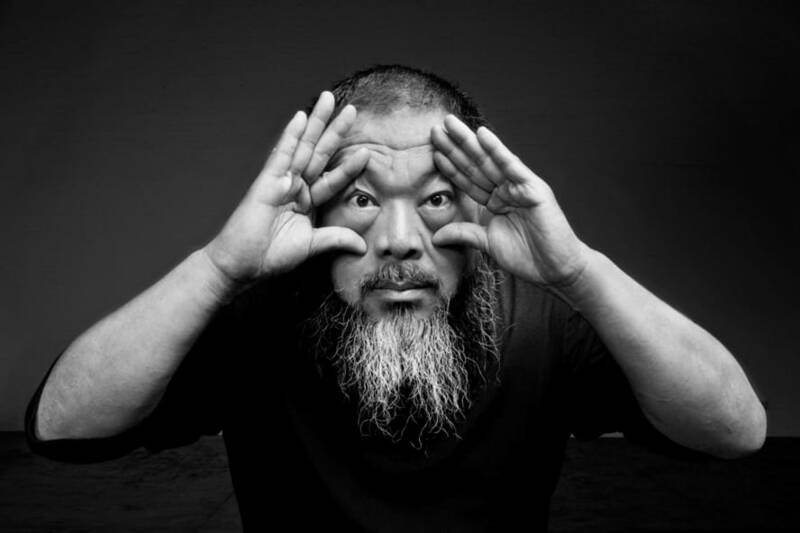 In early 2011, Ai Weiwei was arrested and jailed for three months. The arrest was widely regarded as retaliation for his criticism of the Chinese government. After his release from jail, Ai Weiwei remained under heavy surveillance and was prohibited from leaving the country until he received a passport in July 2015. A month later, he moved to Europe and never looked back. 2015 also happened to be the height of migration for Europe. While Europe was accepting of Ai Weiwei, the irony of its rejection to migrants coming from the Middle East was not lost on him. Following a philosophy that art has to be relevant, Ai Weiwei aimed to provoke even in exile. He restaged a photograph of the drowned Syrian boy Aylan Kurdi, built an art piece showcasing 258 faceless refugee figures on an inflatable boat in Prague, strung together 14,000 bright orange jackets discarded by refugees arriving on Lesbos in Berlin, and shot the documentary Human Flow highlighting the refugee crisis. What makes The Rest brilliant is perhaps an inspection of the word “rest”. The Rest is for those looking to find rest (“relief”) in Europe, for those who are laid to rest (“cease to live”), for those left behind by the rest (“the whole”) of humanity, and for those who are seen as the rest (“leftovers”) of humanity. “[My] last trip will be the trip back to Syria.” She smiles. For now, she finds her rest in Sweden. CPH:DOX – Copenhagen International Documentary Film Festival – is one of the largest documentary film festivals in the world. The 16th edition of CPH:DOX took place from March 20 to 31, 2019. The Rest. Released March 2019 at the Copenhagen International Documentary Festival. Directed by Ai Weiwei. Running time 1 hour 18 minutes.